It used to be that hiring was all about getting the right skills and qualifications. Now, it's becoming more about the fit between both employee and employer. That many employers have been looking to readjust doesn't mean you shouldn't do the same. In fact, because of a focus on corporate culture and brand, it's becoming increasingly complicated just to get your foot in for an interview, thanks to pre-hire assessments such as personality tests. The power of these testing procedures is spreading to nearly every industry. 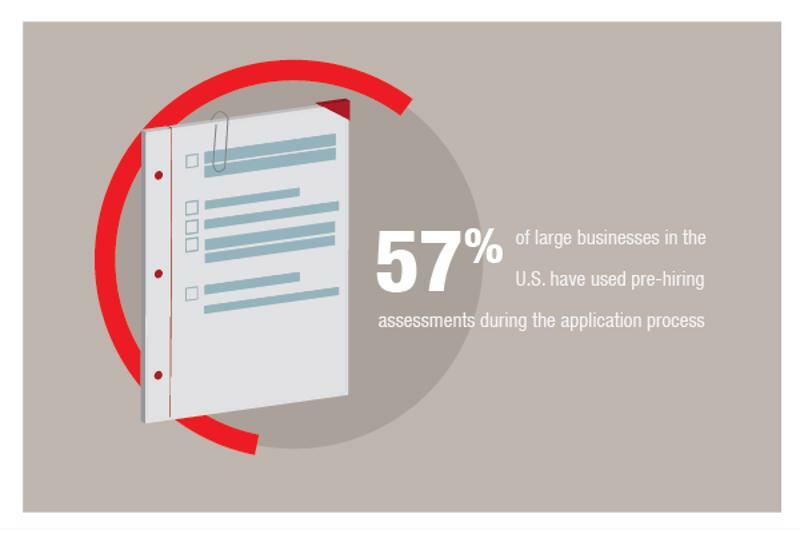 According to the Wall Street Journal, 57 percent of large businesses in the U.S. have used pre-hiring assessments during the application process for at least a few positions, including eight of the ten largest companies by number of employees. That's more than double what it was in 2003. Personality tests can surprisingly affect your application, since they look for the social and personal traits that will make you a good employee. However, it's equally possible to overthink the test and let yourself be caught up in a way that you fail because you're not showing who you are as a person. Truth be told, while getting a job is your goal, you don't want to work where your natural style is not suited to the company or the position. As testing firm Criteria notes, while it's nearly impossible to beat a personality test, you can still prepare for it enough that you can can improve your scores. One way of doing this is looking at and testing yourself using sample personality tests that are found online. This will give you some advantage in handling these tests. They'll likely be different from the one you actually take, but it will give you an idea of how they function overall. While you can't really prepare to be the "real" you, you can prepare missteps associated with text anxiety. Sample tests and honesty are our best suggestions, because you don't want a job on the premise of being someone else. This can be stressful and ultimately lead to failure, which can be damaging to you and your career. Of course, along with preparation, having the right mind set is important so that you don't feel anxious throughout the process. In that case, the easiest thing to do is relax. While the personality test does influence hiring decisions, it's not the one thing that will make or break your chances, even if the position is highly competitive. The assessments allow for some differentiation beyond skills and qualifications. It's important to keep that in mind, especially since even executives likely undergo this sort of examination. Another thing to remember is that with personality tests, there's no wrong answer. Basically, the purpose is to determine what kind of personal traits you have and how they compare with what measures for an ideal employee at the company. Each company can vary with what kind of workers they prefer. More importantly, these take into consideration whether you yourself will be successful in this position overall. With this in mind, don't try to put too much thought into it, and more importantly try not to fake it. Not only are there ways to detect such actions, but even if you were to pass, you may find that you're in the wrong job to begin with as well.